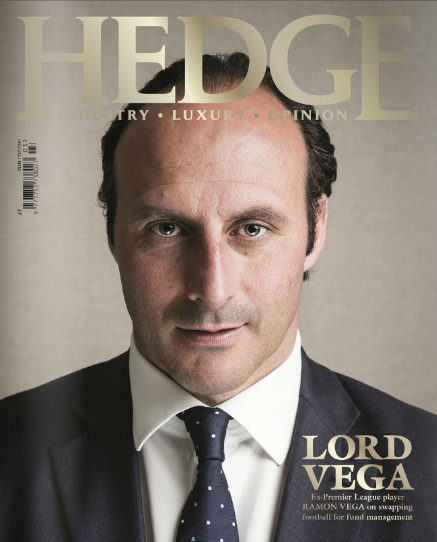 Hedge Magazine, August 2015. Original article (p48-50). Sports metaphors are all over the world of business, but it’s rare to find a financier with this level of personal experience. Vega is the founder of Vega Swiss Asset Management, but his CV is unusual: Vega was a professional football player for 17 years, most prominently with Tottenham Hotspur. So perhaps it’s fitting that the first thing Vega wants to talk about is ‘From Pitch To Boardroom’ – Vega is co-CEO of Stuart Blyth’s venture for using football methodology to inspire corporate leaders to select and nurture winning teams. “I’m merging two worlds together. I was a professional footballer, an international player. 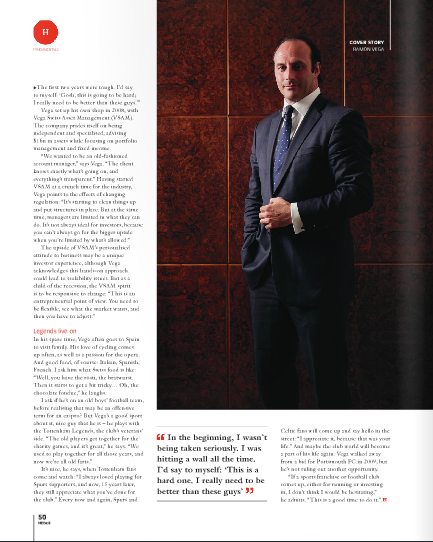 Then I went into the world of finance, into hedge funds and asset management,” says Vega. We’re sitting in a suite at the Landmark, a top-drawer Marylebone hotel which is very imposing indeed. 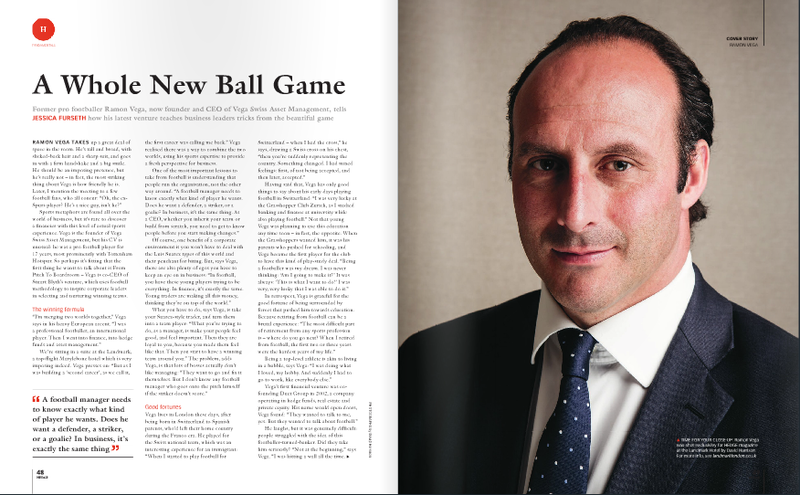 Speaking in his European accent, Vega continues: “But as I was building a second career, as we call it, the first career was calling me back.” Vega realised there was a way to combine the two worlds, using sports to provide a fresh perspective for business. Vega (44) often goes to Spain to visit family: “I love Spain. It’s a very nice place to go.” His love of cycling comes up several times, as well as a passion for the opera. And good food of course: Italian, Spanish, French. I ask him what Swiss food is like: “Well you have the rösti, the bratwurst. Then it starts to get a bit tricky … Oh, the chocolate fondue!” He laughs. Posted on 08/04/2015 by Jess. This entry was posted in Business features and tagged asset management, From Pitch To Boardroom, hedge magazine, ramón vega, vega swiss asset management. Bookmark the permalink.